Some of Pope Francis' detractors in North America have accused him of being a communist. But in his first visit as Pope to Cuba, Francis spelled out in Havana's Plaza de la Revolución on Sept. 20 how service to humanity as espoused in Christianity differs from the ideology of communism. "Being a Christian entails promoting the dignity of our brothers and sisters, fighting for it, living for it," said the Pope. He explained in his homily on the Christian call to service that it is never ideological, but involves putting our own interests aside for the sake of others. "That is why Christians are constantly called to set aside their own wishes and desires, their pursuit of power, and to look instead to those who are most vulnerable." Francis said, "Service is never ideological, for we do not serve ideas, we serve people." The pontiff warned against the temptation to serve only our own people, which is self-serving and gives rise to exclusion. Instead, service involves putting others at the center, and a closeness with our brothers and sisters to the point of sometimes suffering in order to help them. Sunday Mass in Havana was the first major event of Pope Francis' visit to Cuba from Sept. 19-22. He is the third Roman Catholic pontiff to visit the country. St. John Paul II in 1998 and Pope Emeritus Benedict XVI in 2012, preceded him. "The call to serve involves something special, to which we must be attentive. Serving others chiefly means caring for their vulnerability. Caring for the vulnerable of our families, our society, our people," said Pope Francis. "Being a Christian entails promoting the dignity of our brothers and sisters, fighting for it, living for it. That is why Christians are constantly called to set aside their own wishes and desires, their pursuit of power, and to look instead to those who are most vulnerable." 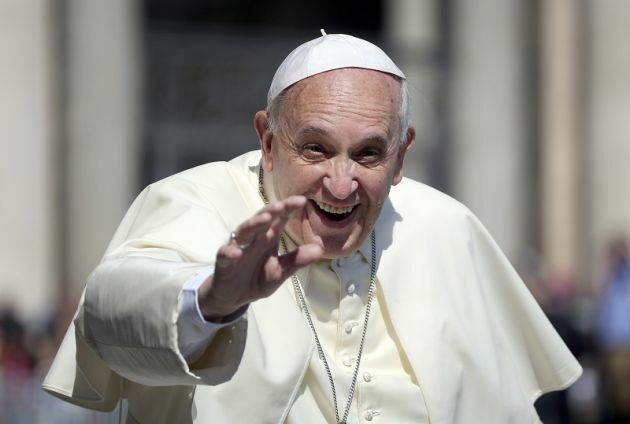 Cubans must "serve others, not be served by others," Pope Francis said, urging Cubans to reject ideology in the biggest event of his trip to the communist island, Agence France-Presse reported. Francis' homily did not directly address Cuba's political situation or its nascent rapprochement with the United States, which he helped broker. But in a meeting with Cuba's former revolutionary leader Fidel Castro, the two sat down for an 'informal' talk and Francis used the discussion and a later Mass to deliver a thinly veiled critique of the former dictator. Exchanging gifts with Castro, Francis handed him a selection of books - one of which was written by Spanish-born priest Rev. Amando Llorente, a former boyhood teacher of Castro expelled from Cuba when Fidel came to power. Like Francis he belonged to the Jesuits as the Society of Jesus order is often known. The Pope also gave a copy of his works, "Laudato Si" and "Evangelii Gaudium" as well as a book on happiness and the spiritual life by Italian priest Fr. Alexandro Pronzato.